This project is the third of a series of desert-dwelling prototypes that comprise an ongoing body of research into off-grid living in a relatively extreme climate. All three research sites are located in the remote community of Los Zacatitos, in Baja California Sur, Mexico. 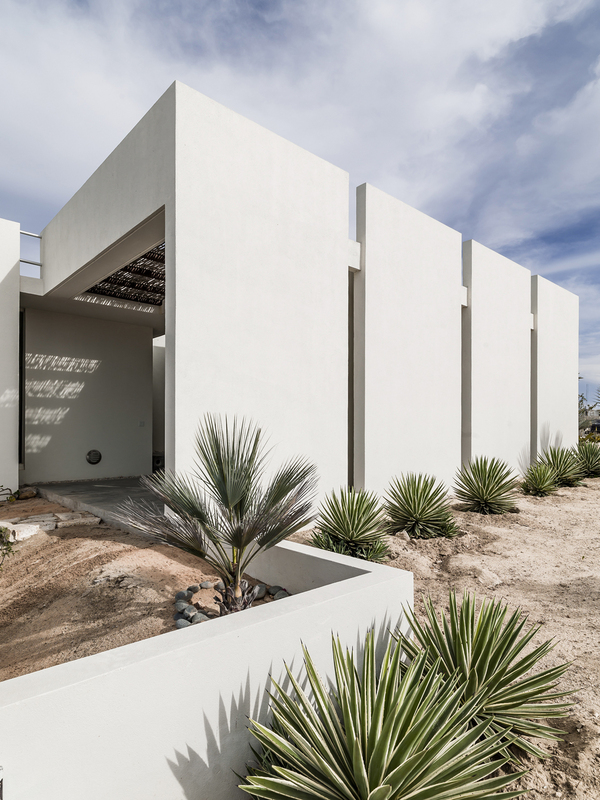 Zacatitos 03 was designed as a formal expression of the local construction methodology – concrete reinforced insulation panel system. The program elements are organized in a linear fashion across the sloping site in response to the orientation of the sun, and the direction of local prevailing breezes. The double line of panels was then shifted and laterally accommodates views, maximizes ventilation, and protects against solar gain.